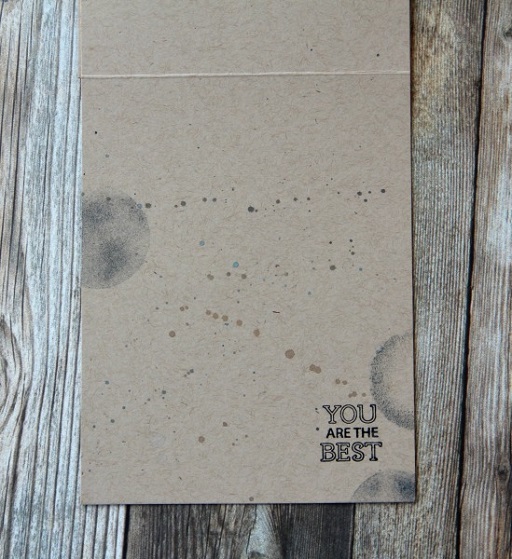 An absolutely perfect card for that hands-on guy in your life! 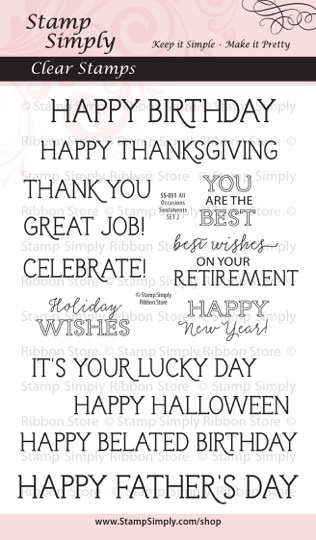 The sentiment is from our NEW All Occasion Sentiments SET 2. 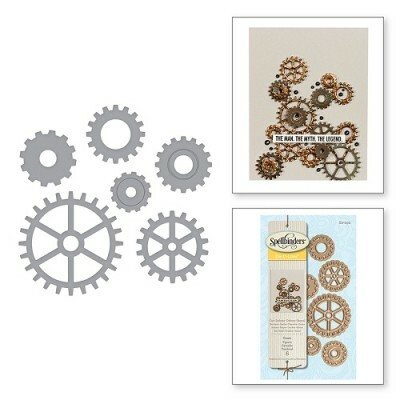 Don’t those gears look real? They are colored with Oxide Inks and the sheen is created with DecoArt Metallic Lustre – WOW!, what a difference that makes! 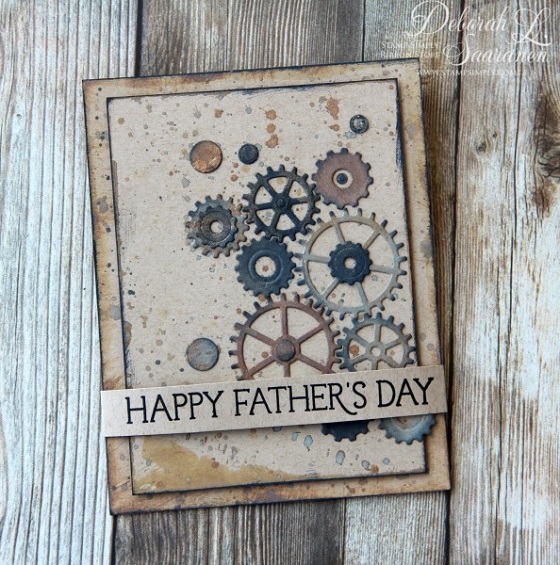 And here’s the inside – also grungy with a fun sentiment for Dad. You can find Deb’s full post on her blog here. 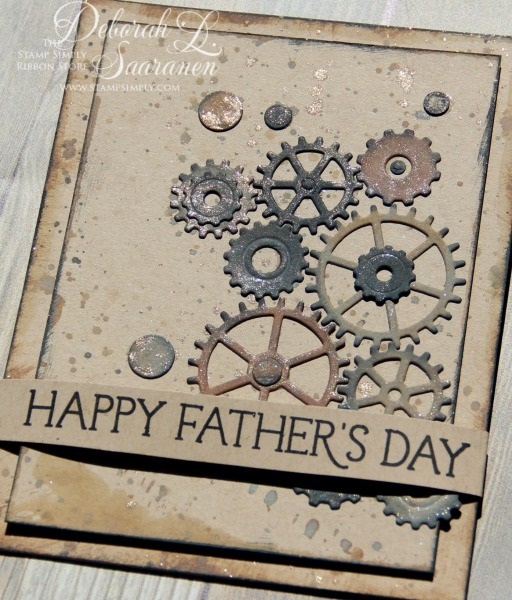 This is a wonderful sentiment set with a bit more of a classic or masculine flair covering so many different occasions. 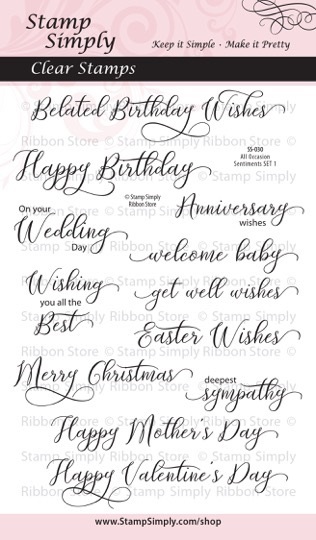 Combine the sentiments in this set with the above to expand use of them all to include so many occasions. It is feminine in style with the beautifully scripted font and contains 12 sentiments that’ll take you through so many occasions. Combine the sentiments in this set with the above to expand use of them all to include just about any occasion that may arise. These sets can be purchased individually or as a bundled Combo Offer for a great savings. 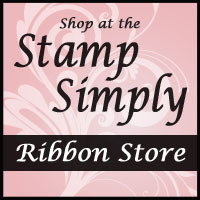 Making all your Stamp Simply Clear Stamps work together is one of our goals! Find all Die D-Lites in stock here – smaller dies with smaller price tags! 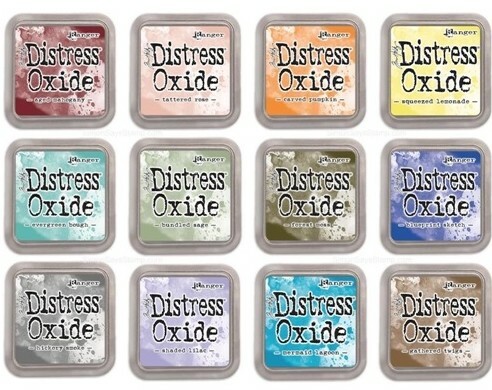 Find all Spellbinders Dies here – always reduced! 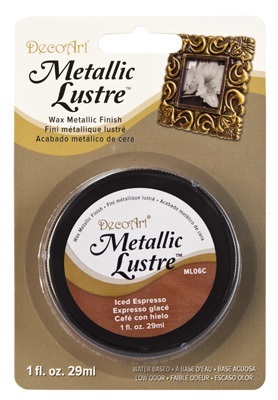 Available in many metallic colors – easy to apply with fingertips!!! We’ll be back soon with more projects to inspire you using our NEW April Release sets and more.